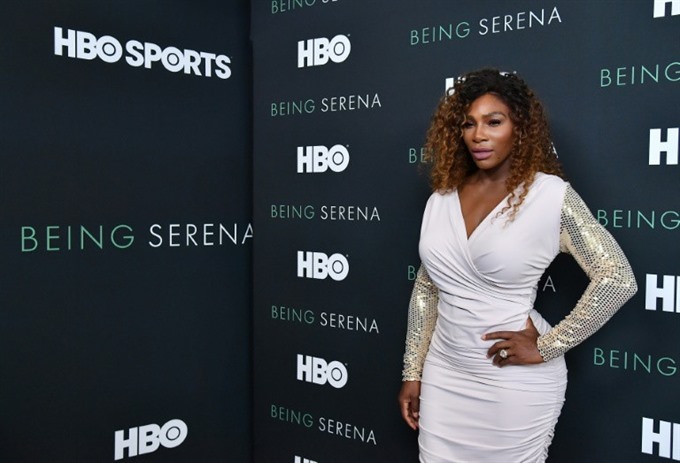 NEW YORK — Serena Williams, winner of an Open Era-record 23 Grand Slam singles titles, unveils the joys and pains of her private life in an HBO documentary debuting on Wednesday. In the five-part series, the former WTA world number one recounts her victory in last year’s Australian Open, complications surrounding the birth of her eight-month-old daughter Olympia and her wedding to Alexis Ohanian last November. "It’s about ups and downs," Williams said in an HBO interview released Tuesday. Williams won the Australian Open while pregnant and returned in February alongside her sister Venus in a US Fed Cup first-round tie. She lost to Venus in the third round at Indian Wells and to Japan’s Naomi Osaka at Miami in her WTA returns. "I’m sure there are some moments in there that I’m not excited about. But that’s what it’s all about," Williams said. "The camera follows you. You have to just allow yourself to just be." Williams revealed in an interview with Vogue that she suffered a pulmonary embolism after her daughter was born and spent six weeks recovering with bed rest. "I chose now to share these moments because I was going through something different in my life," Williams said. "I always wanted to get it down in a documentary so I can always say to my daughter, ’Olympia look at all of these moments.’"